Say goodbye to the old JetBlue. The boutique airline has been under intense pressure to match trends at the low-cost end of the market. It’s been clear for several months that change was coming at JetBlue, and now that change has arrived. According to the Wall Street Journal, the carrier will add checked bag fees and pack passengers in more tightly. JetBlue has avoided these moves, in an effort to preserve a brand that once redefined budget flying, but that in recent years has disappointed investors looking at the success of “no frills” operations, such as Spirit Airlines. Issues came to a head in September, when CEO David Barger stepped down, amid widespread media speculation that his decision was provoked by the airline’s inability to maximise profits by minimising the passenger experience. Wall Street analysts accused JetBlue of underperforming and blamed Barger, suggesting that he was preoccupied with maintaining the brand values that made the carrier a big success with travellers in the 2000s. 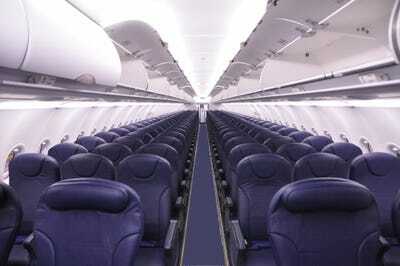 Barger will be replaced as CEO by Robin Hayes, formerly JetBlue’s president and a veteran of British Airways. The arrival of checked-bag fees, along with charging for wifi and adding seats to aircraft, is expected to increase JetBlue’s earnings per share by over 50 cents, according to Cowan and Co. analyst Helane Becker (as reported by The Street). And, as the Wall Street Journal’s Jack Nicas reported, the carrier will up the number of seats on its Airbus A320s “to 165 seats from 150.” That means less legroom. JetBlue’s challenge is significant. The company is caught up in a familiar dynamic for the U.S. airline industry. It innovated when it arrived on the scene, tapping an appetite for a low-cost boutique flying experience — something akin to boutique hotels, which could be simultaneously less expensive and more stylish that established luxury lodging options. There’s plenty of opportunity to innovate in the airline business — as JetBlue, Southwest, and more recently and with a certain aggressive disregard for passenger comfort, Spirit have demonstrated. But the innovation tends to run its course, and then the upstart finds itself playing the same game as everyone else: competing on price. Spirit AirlinesSpirit Airlines packs ’em tight. 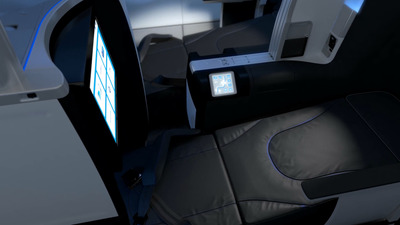 These day, there are two ways to go in the airline industry when you compete on price: You cut economy class to the bone as far as the amenities go, charging for everything and packing in more and more seats; or you court first- and business-class travellers and their ability to pay steeper fares. JetBlue, a one-class airline originally, has moved slightly in the second direction by introducing its own version of first class on flights between New York and Los Angeles. Vimeo/JetBlueThe skies, they are a-changin’. But generally speaking, trying to stake out a middle ground is tricky. And that’s exactly where JetBlue has found itself. The company has painted itself into a corner: The brand depends on a positive passenger experience, but Wall Street has pushed the company to undermine the brand. It doesn’t make a lot of sense for JetBlue to effectively make a 180-degree change to the way it does business, vaporizing pretty much all of its brand equity in the process. Nor does it make sense for management to steadfastly stick to the way it’s been running the company. We’re now seeing the initial stages of a transformation of the old JetBlue into a new JetBlue. The airline is going to need to innovate at a level not seen since the company was created to get through this challenging transition. Fortunately, because the carrier has put customers first for more than a decade, JetBlue has brand equity to burn. It obviously can’t burn all of it. The trick will be figuring out how much like the rest of airline industry JetBlue can become without ceasing to be JetBlue.